I love this desk. And this is such a great space that will grow with a child from grade school through high school. How cute are the gold legs on this desk?! Genius! Give this girl a chair! Otherwise, the whimsical decals and crates-as-shelves are cute paired with the weathered table. There you have it! 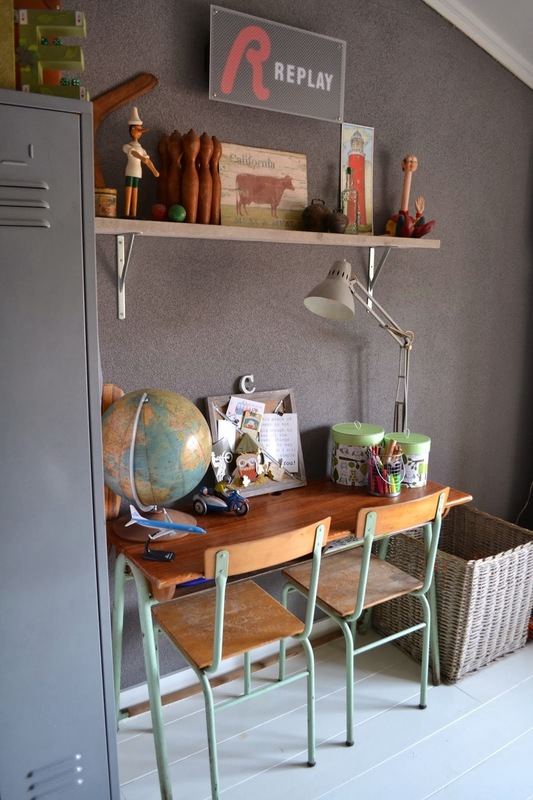 Cute vintage-inspired study spaces for kids of all ages. Now get crackin’ on that homework, kids! 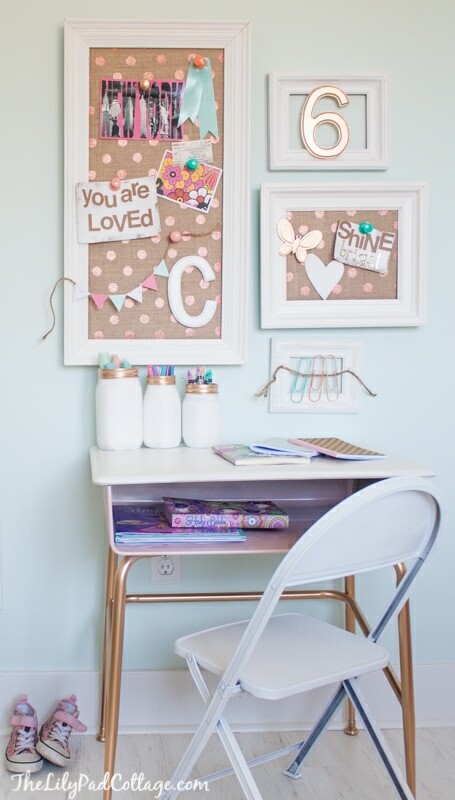 Its always a fun surprise to see a room in your own house on a blog round up. Cool spaces! My girls started school today and let me tell you, seeing my little baby step on the school bus for the first time was a teary experience…for me, not her.